Are you a Liverpool building contractor who need a few more sets of hands to carry out your various aspects of a build? 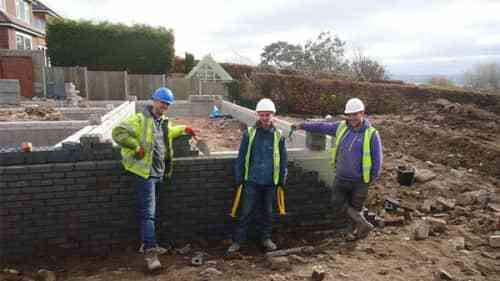 Or a homeowner undertaking some building work yourself, but you need some other trades to help you plan or complete different parts of your build? Our high quality sub contract work is carried out by suitably qualified and experienced staff who are covered by the relevant governing bodies and our work is backed up with outstanding customer service because from the day we started trading, we’ve made conscious efforts to be different from other longer established (and often less reputable) local building companies. Our ethical approach means you can rest easy knowing that any trademen and labourers we supply will help to deliver your project professionaly and cost effectively so you can concentrate on landing the next job and growing your construction business. All Personal come with relevant qualifications and experience and members of the individual trades governing safety bodies i.e. : Gas Safe. NIC, CPCS etc. All documentation will be provided prior to any commencement of contracts. Got any questions or want a free quote?